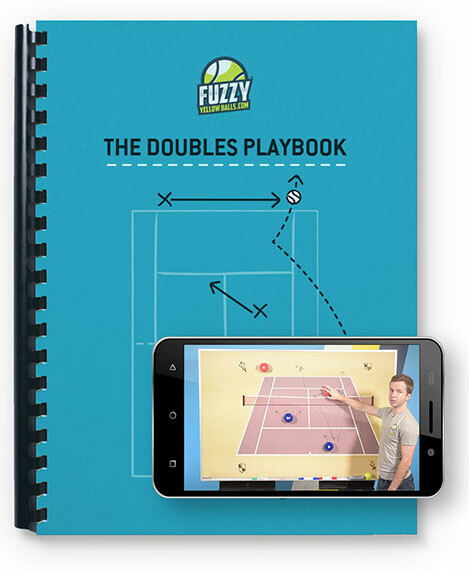 If you’re a doubles player, then you NEED to check out the Doubles Playbook. Get easy put-away volleys and overheads, win more points, and have better chemistry with your partner. Calling all singles players! Learn the strategies and tactics to easily beat any type of opponent. It’s time to climb your club or tournament ladder. Our mission is to work with the greatest minds in tennis and have them share their secrets with you. Play Dubs? Check out "THE DOUBLES PLAYBOOK"
If you look at other sports, teams run plays. Soccer teams run plays to score goals. Football teams run plays to score touchdowns. Soccer teams run plays to score goals. When it comes to YOUR doubles game, you can run plays to set up easy put-away volleys and overheads at the net. Inside “The Doubles Playbook” you’re getting 48 plays pros like Martina Navratilova, the Bryan Brothers, and Gigi Fernandez used to win 102 Grand Slam Doubles Titles, but adapted so mere mortals like you and me can use them to win USTA league and club matches. And if you play with new partners all the time, “The Anticipation Formula” lets you run plays even if your partner doesn’t have a playbook and doesn’t know the plays. 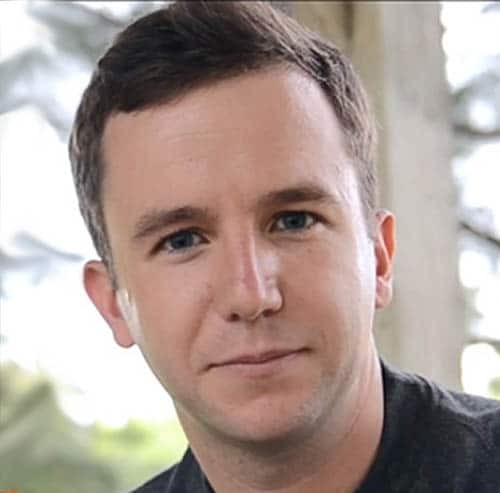 Want to make 2019 your best year ever? Then pick up a copy of “The Doubles Playbook” here on this page! Play mostly singles? Check out "THE SINGLES PLAYBOOK"
This is the playbook for beating any type of opponent. 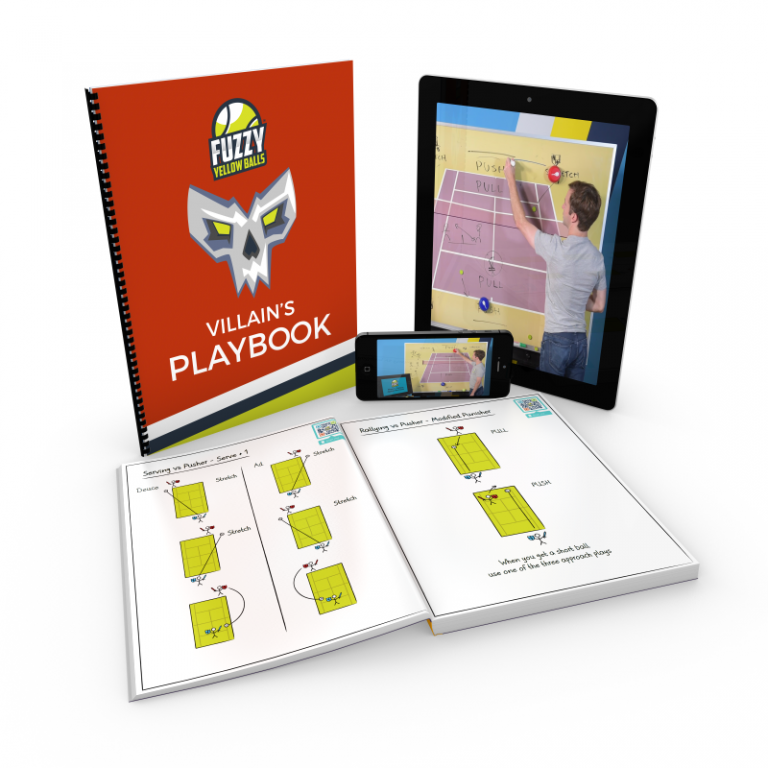 If there’s a guy or gal at your club you just can’t seem to beat, well, that all changes when you have “The Villain’s Playbook” in your tennis bag. The way it works is really weird, but awesome! Check out the video above to see how to use the playbook and your phone’s camera to instantly discover the right strategy for ANY opponent.